Denial of Service (DoS) attacks deplete the resources of target systems to deny service to legitimate users. Preventing such attacks is quite difficult because of fundamental design decisions in the Internet and in wireless systems. This project is developing better theoretical models for DoS and using these to inspire and analyze new types of countermeasures. The project also investigates a range of topics in network security such as tunnels, firewalls, browsers, and DoS for wireless communications. Doctoral Thesis, University of Illinois at Urbana-Champaign, August 2013. Technical Report, University of Illinois at Urbana-Champaign, October 2010. 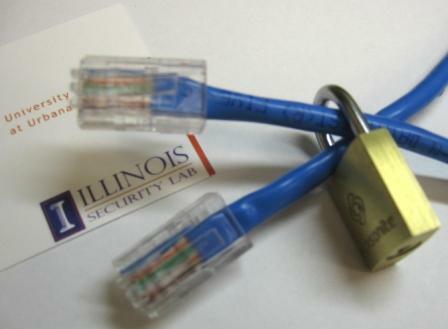 Assurable and Usable Security Configuration (SafeConfig ’09), Chicago, IL, November 2009. European Symposium on Research in Computer Security (ESORICS ’09), Saint Malo, France, September 2009. IEEE Journal on Selected Areas in Communications, volume 27, issue 3, pages 249-252, 2009.
International Workshop on Security and Rewriting Techniques (SecRet ’08), Pittsburgh, PA, June 2008. 2nd Annual Information Theory and Applications Workshop, San Diego, CA, February 2007. Alwyn Goodloe, Michael McDougall, Carl A. Gunter, and Mark-Oliver Stehr. ICSOC Network and Distributed Systems Security Symposium (NDSS ’04), San Diego, CA, February 2004.